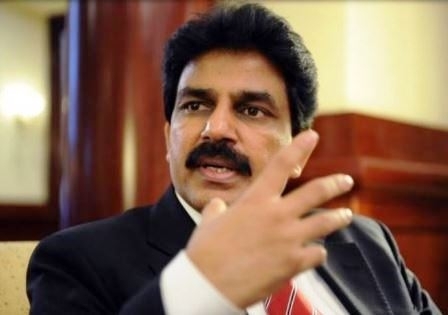 MISSISSAUGA, ONTARIO, CANADA (ANS – March 14, 2016) – Shahbaz Bhatti whose life and death was recently celebrated at an event in Canada, was a not only a true hero to the Christian community of Pakistan, but also to his many supporters around the world. Mr. Bhatti was the first Christian to be named as Federal Minister for Minorities Affairs in the cabinet of the Islamic Republic of Pakistan, and courageously served in that role from November 2008 until his brutal assassination on March 2, 2011, by an Islamic terror group. His murder came as no surprise to many as, since 2009, Mr. Bhatti had been receiving death threats when he spoke out in support of Pakistani Christians brutalized in the 2009 Gojra riots, a series of attacks targeting Christians in Gojra town in the Punjab province of Pakistan, that resulted in the deaths of eight Christians, including four women and a child. Then, things got worse for him following his subsequent support of Asia Bibi, the Pakistani Christian mother-of-five, sentenced to death in 2010 for blasphemy, and who is now appealing her death sentence, when the death threats increased. According to media reports, the United States government had tried to obtain increased security for him and get him an armored car, but where unsuccessful. It was soon to come true, when Bhatti was shot by three masked men while travelling to work through a residential district in Islamabad, having just left his mother’s home. At the time of the attack, he was without any security. His driver reports to have “stopped the car” and “ducked” when he saw the armed men approaching, rather than attempting to evade the threat. A seriously injured Bhatti was taken to a nearby hospital, but he was pronounced dead on arrival. His violent death followed that of Punjab governor Salman Taseer, a moderate Muslim who was also assassinated amid the boiling controversy over the country’s blasphemy laws. On the day following Bhatti’s assassination, hundreds of Christian demonstrators took to the streets across Punjab, with protesters burning tires and demanding justice. Now, on Saturday, March 5, 2016, the Canada-based International Christian Voice (ICV) — http://internationalchristianvoice.com/icv — held a moving event in commemoration and celebration of the life of “martyr” Shahbaz Bhatti. It was held at the Canadian Coptic Centre in Mississauga, Ontario, and more than 450 people attended. A report on the gathering said that that ICV had organized the occasion on the fifth anniversary of the death of Shahbaz Bhatti, and it was attended by members of the Canadian and Pakistani community, including government officials and community leaders. “The purpose of the event was to remember the sacrifice of martyr, Shahbaz Bhatti, and all other liberal thinkers in Pakistan who devoted their lives to the cause of religious equality in Pakistan and around the world,” said an ICV spokesperson. The event began with a welcoming by ICV Vice-Chairman, Mr. Tanveer Joseph, who was also the Master of Ceremonies for the evening. A moving candlelight tribute in honor of Shahbaz Bhatti then took place, which included the lighting of candles by honorable guests, distinguished community leaders and pastors and the family of Shahbaz Bhatti. During the ceremony, singer Ms. Nina Manhilot performed a touching tribute song in memory of Mr. Bhatti. Following the candle lighting ceremony, a tribute by Shahbaz Bhatti’s nieces and nephew was presented along with a live musical accompaniment by Carolyn and Joanna Dass. Throughout the tribute, Nitasha Bhatti, David Bhatti, Kristina Yousif, and Jennifer Yousif provided insight into the lifelong struggle of Shahbaz Bhatti from his early years of helping the poor children in his village, and fighting for “religious equality” in his schools through to his final years as federal minister, and also for calling for an amendment of Pakistan’s blasphemy laws and raising the plight of religious minorities onto an international level. A presentation of the situation of the Pakistani Christian asylum seekers in Thailand was given by Ms. Sara Joseph who, along with other ICV delegates, had visited Thailand in October 2015. Ms. Joseph highlighted the “dire situation” these asylum seekers were in and explained in detail the suffering that they faced at the hands of Thai immigration police. Following her presentation, which included photographs and video testimonials, she called on the Canadian community to assist these Pakistani Christian asylum seekers in “any way possible” and stressed the importance of “taking action” on such issues. Another that was also present, was the Honourable Jagmeet Singh, Deputy Leader of Ontario’s New Democratic Party (NDP) and a member of the Legislative Assembly of Ontario since he who was elected in 2011, representingBramalea-Gore-Malton. He told the audience about the admiration he shared about the “inspiration that Shahbaz Bhatti brought into his life as a selfless leader in country where intolerance and religious inequality is rampant and widespread.” He also shared that Mr. Bhatti’s “determination in the face of adversity” how that was an “encouraging sentiment for the entire community to follow in order to raise the issue of religious freedom around the world. Mr. Bhatti spoke about the vision of a democratic and pluralistic society that Pakistan’s founder, Muhammad Ali Jinnah, also called “Quaid-e-Azam” had for his nation, which was the “same vision” that Shahbaz Bhatti “sacrificed his life for.” He also stressed the importance of helping refugees and asylum seekers around the world and called on the Canadian government to take action on this issue, while stressing the importance of keeping Canada’s Office of Religious Freedom running. ICV executives, Mr. Qamar Andreas and Max Gill, were honored by ICV for their work and commitment with in organization to continue the legacy of Shahbaz Bhatti. Professor Dr. David Koyzis and Rev. Dr. Nancy Koyzis said the closing prayers and grace for dinner which was followed by another performance by Ms. Manhilot. It was a fitting tribute to a truly great Pakistani Christian, whose life and work will never be forgotten by groups like ICV. Photo captions: Shahbaz Bhatti holding onto the cross before his untimely death. 2) ICV Chairman Mr. Peter Bhatti speaking on the legacy of his late brother, Shahbaz Bhatti. 3) Candle Lighting by the family of Shahbaz Bhatti. 4) USCIRF Chair Dr. Katrina Lantos Swetts sharing her thoughts on the life and legacy of Shahbaz Bhatti. 5) The audience at the memorial event for Shahbaz Bhatti. 6) Dan Wooding at his Southern California home with his award from the BPCA. About the writer: Dan Wooding, 75, is an award-winning winning author, broadcaster and journalist who was born in Nigeria of British missionary parents, and is now living in Southern California with his wife Norma, to whom he has been married for more than 52 years. They have two sons, Andrew and Peter, and six grandchildren who all live in the UK. Dan is the founder and international director of ASSIST (Aid to Special Saints in Strategic Times) and the ASSIST News Service (ANS), and is also the author of some 45 books, the latest of which is Mary, My Story from Bethlehem to Calvary (http://marythebook.com). He has been given a special award by the British Pakistani Christian Association (BPCA) in the UK for his reporting on the plight of Pakistani Christians, and will soon receive another honor for the same from the Legal Evangelical Association Development (LEAD) in Pakistan.